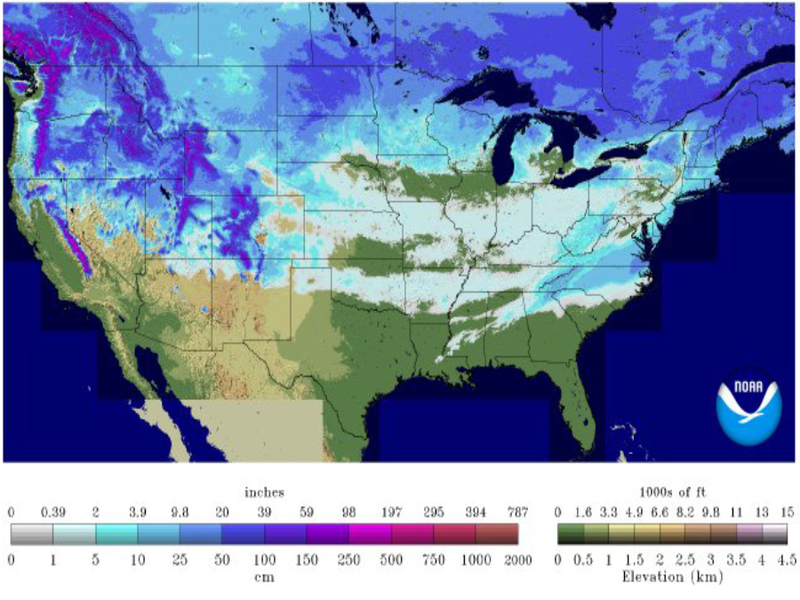 It's a rare feat when snow is on the ground anywhere in the South, and it's even rarer when every state in the nation (except Florida) has snow on the ground. The snow is covering nearly 60 percent of the country as of Monday morning. All this snow is still on the ground after a cold, snowy weekend in most of the United States. For the rest of this week, however, any new snowfall is likely to be limited to the northernmost states and higher elevations in the West. That's because temperatures are about to thaw and that means the snow will be melting. 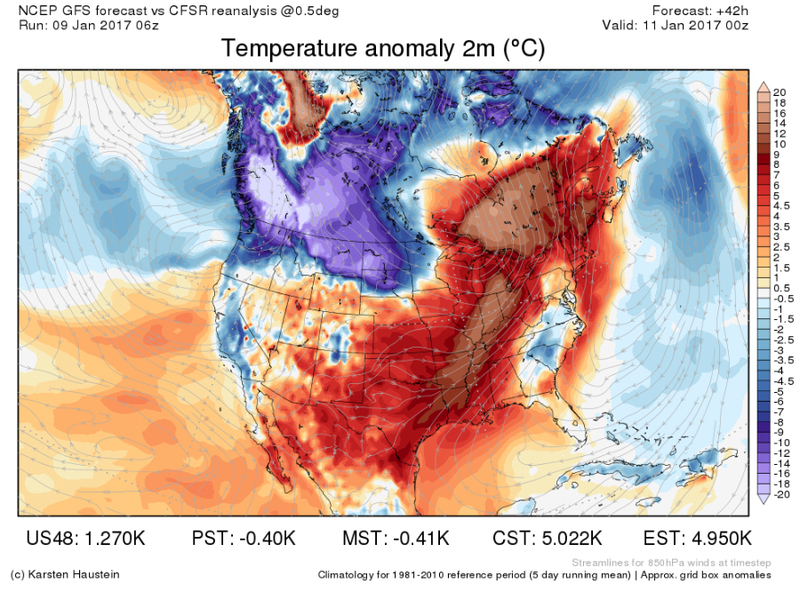 Warmer air is making a brief comeback for most of the United States this week, but it appears to be short-lived. By the end of the week and into the weekend, Arctic air will return everywhere but the Southeast and along the East Coast. 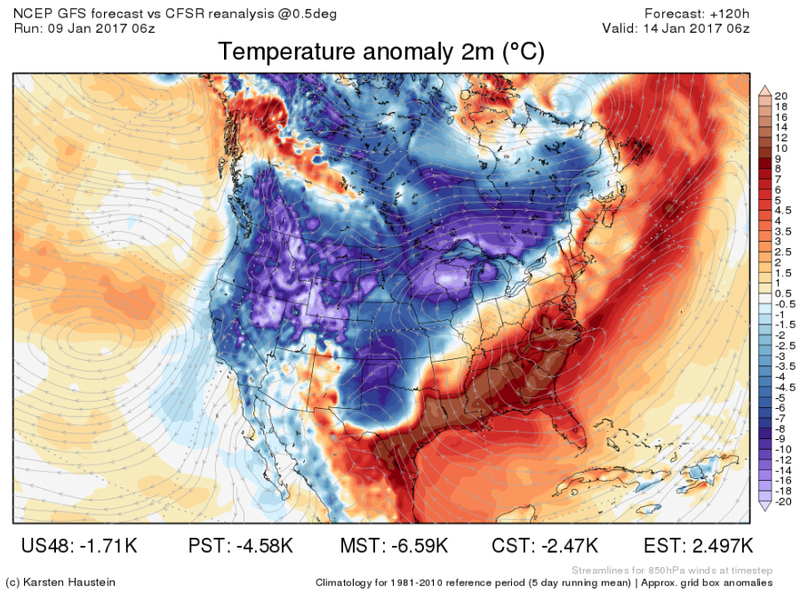 This deep freeze, however, doesn't appear to have widespread snow accompanying it.